Guided by literature on journalistic practices and activists’ communication strategies during crises, this pilot study examined how local journalists and activists used Twitter as a communication tool following Michael Brown’s death. Through a content analysis, we noted general Twitter practices used by journalists and activists, examined whether the two groups used different message strategies, and identified the ways in which journalists and activists framed their messages about the Ferguson crisis. Findings suggested that while the local journalists and activists showed similarities in their overall use of Twitter, their message strategies and frames were consistent with established practices for each group. The role of social media has garnered much attention in examining the spread of news and information related to the August 2014 death of Michael Brown in Ferguson, Mo. We sought to understand how journalists and activists used Twitter to disseminate information about the events in Ferguson and how their tactics varied in the week following Brown’s death. Using crisis communication strategies as our lens in this exploratory study, we examined tweets from local journalists and activists to gauge the differences in their messages, as well as their use of hashtags and retweets. In doing so, we were able to study whether using Twitter in times of crisis—especially so-called “man­made” crises like Brown’s death—might alter journalists’ norms and practices and affect the approach used by activists. Following Brown’s death, journalists shared the gatekeeping space with a range of others, including activists. While other studies have examined how journalists covered crises or how their work influenced reactions to a crisis, we wondered to what extent Twitter messages and strategies of journalists and activists varied. 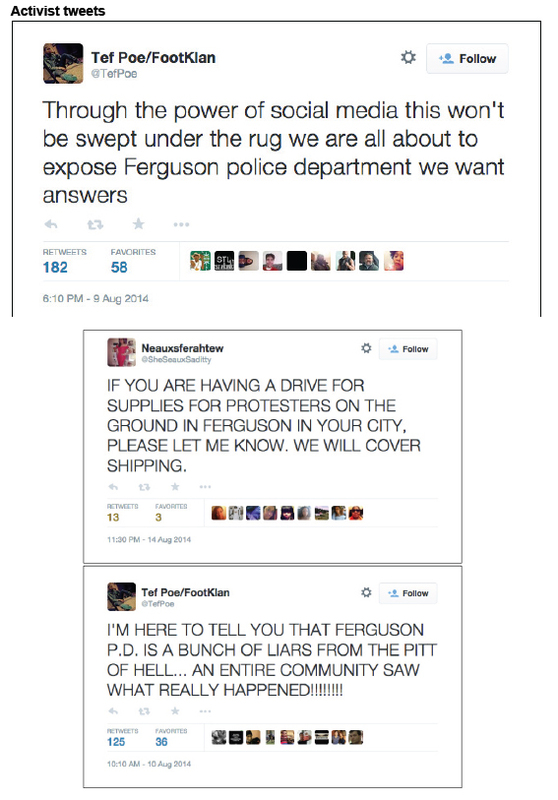 How were they helping to make meaning via Twitter of the events in Ferguson and subsequent related incidents? In such a “big story” as the aftermath of Brown’s death, would the media break from normal routines? Would activists adopt journalistic practices? To properly situate this pilot study, it is helpful to review the events surrounding the death of Michael Brown on August 9, 2014 in Ferguson, Mo. Brown, 18, was unarmed when he was shot multiple times by then-Ferguson police officer Darren Wilson. After hearing several weeks of testimony, a grand jury in November 2014 chose not to indict Wilson in Brown’s death. The following information was reported by dozens of news organizations and included in grand jury documents released after the grand jury returned its finding: On the day Brown died, he was recorded on video surveillance taking a box of cigars from a convenience store. The theft was reported to police, along with descriptions of Brown and his friend, Dorian Johnson. Minutes later, Wilson stopped Brown and Johnson as they walked down the street. Brown and Wilson engaged in a struggle at Wilson’s police SUV and Wilson’s gun went off. Neither man was seriously hurt, and Brown and Johnson ran from the car. Wilson followed them on foot and Brown turned around. Witnesses have disputed what happened next, and it was one of many moments considered by the grand jury in whether to indict Wilson. Brown turned around, some say with his hands up to signal surrender; others reported he appeared to start toward the officer (Freivogel, 2014). Wilson fired several shots, killing Brown. The shooting of Brown, an unarmed African-American, by Wilson, a white police officer, initially garnered moderate local press attention. Protests grew from a collective of residents and local leaders organizing action at the grassroots level. Their messages, while sometimes disconnected from each other, quickly took off on social media—particularly on Twitter through the use of related hashtags that included #HandsUpDontShoot, #MikeBrown and #Ferguson. As the story grew on social media, the outcry amplified and drew international attention and press coverage. St. Louis-based media in particular leveraged their reporting resources to cover the story, especially in the first week when it dominated international news. Local television and news radio stations broke from national programming to provide live or extended coverage. Local newspapers featured multiple stories both in print and online. Journalists at these outlets relied on Twitter to share information, find sources and engage in conversations. All of these were interruptions of the outlets’ regular routines of news-gathering and coverage. Additionally, the local journalists shared personal connections to the area with local activists—St. Louis was “their” community. The message strategies of journalists and activists tweeting about the events in Ferguson can be examined using the tenants of framing theory. Frames are the central organizing idea to identify and provide meaning to a specific issue (e.g., Goffman, 1974). Entman (1993) argues that to frame is to “select some aspects of a perceived reality and make them more salient in a communicating text” (p. 52). The different types of strategic message frames used to report about Ferguson can influence public understanding and perception (Scheufele & Tewksbury, 2007). Research has long established the routines and practices of U.S. journalists, including their professional job role perceptions as disseminators and interpreters of the news as well as their reliance on official sources (Detenber, Gotlieb, McLeod, & Malinkina, 2007; Sigal, 1973; Weaver, Beam, Brownlee, Voakes, & Wilhoit, 2007). Journalists have continually confirmed their commitment to the public service and watchdog functions of the American press and to the tenets of objectivity, autonomy and immediacy (Hinsley, 2014; Weaver et al., 2007). Through the execution of their professional rituals, journalists reinforce their authority and control the flow of information. With the development of new technology, journalists have experienced threats to their authority because “everyday citizens” have entered the news production process and disrupted the “framework of established journalism” (Hermida, Lewis, & Zamith, 2014, 481). Twitter, for example, has become a source of breaking news in which anyone can share bursts of information in 140 characters (Hermida et al., 2014), and is used by about one in five adults in the U.S. (Matsa & Mitchell, 2014). Thought leaders and top influencers on the social media site can dramatically affect the flow and prominence of information as their messages and retweets are exponentially rebroadcast (Hermida et al., 2014). Pew data on Twitter conversations reveals that media organizations and their well-known workers are prominent agenda setters who direct dialogue in their networks and act as the link between otherwise unconnected followers (Smith et al., 2014). Additionally, Twitter has provided opportunities for exposure to more diverse and under­represented viewpoints (Hermida et al., 2014; Paulussen & Harder, 2014). The unrest in Ferguson highlighted ways in which this previous research could be applied and tested, such as through the reach of journalists’ and activists’ retweets of other users’ Twitter messages and retweets by other users of the journalists’ and activists’ messages. Beyond the protests in Ferguson, notable recent examples of Twitter’s importance as an international news and information source, as well as a platform for activist voices, include the 2011 Egyptian revolution and the 2014 non-indictment of a New York police officer linked to the death of an unarmed African-American man, Eric Garner. More than half of all journalists use social media (Oriella PR Network, 2013), oftentimes to share breaking news during crises such as what occurred following Michael Brown’s death. Lasorsa, Lewis, and Holton (2012) found considerable variance among journalists on social media, but they tend to be more vocal in their opinions on Twitter than in traditional media reports. Members of the press also use the social media site to provide greater accountability and transparency in their work. Additionally, journalists act as gatewatchers on Twitter, sharing information with their followers from members of the public (Hermida et al., 2014; Lasorsa et al., 2012). Despite the threat to their journalistic authority presented by new technologies—such as Twitter—news workers have integrated them into their routines, especially as they experienced the utility of such tools in helping fulfill their job roles (Moon & Hadley, 2014; Paulussen & Harder, 2014). During times of crisis, journalists rely on their professional routines as they report the news, and the public relies on news workers to help them make sense of the unfolding unrest (Riegert & Olsson, 2007). Through Twitter, journalists can provide continuous reports from the scene, and their maintained presence communicates the importance and drama of the event (Papacharissi & de Fatima Oliveira, 2012; Riegert & Olsson, 2007). Research has even found that breaking objectivity standards to provide occasional opinions or personal experiences during upheaval can legitimate journalists as truth-tellers in the eyes of the public (Riegert & Olsson, 2007). In the same way that journalists use Twitter to report from disaster and protest scenes—allowing the audience to “experience” those events from other locations—activists too can use social media to share information and connect with the audience. Together, journalists and citizens contribute to the construction of news frames on Twitter (Papacharissi & de Fatima Oliveira, 2012). Research on protest coverage suggests the press frequently covers such events in predictable ways, emphasizing the chaos and confrontations between activists and law enforcement, as well as the resulting arrests (Detenber et al., 2007). Budarick (2011) asserts that by covering protests in such a manner, the media contribute to the “narrative reestablishment of the social order” (p. 49). Even through their objective Twitter reports from the scene, journalists, as well as activists, may reinforce the status quo by communicating a focus on the conflict events instead of larger issues at hand. Activism is a series of actions in which groups of people pressure organizations or institutions to change policies, practices or conditions the group finds to be problematic (Smith, 2005). Its movements are characterized by the participants’ various interactions with those who hold power in order to evoke social, political, or economic changes (Cammaerts, 2007; Tilly, 1978). Traditionally, activists or advocacy groups have been defined as “a group of two or more individuals who organize in order to influence another public or publics through action that may include education, compromise, persuasion, pressure tactics, or force” (L. A. Grunig, J.E. Grunig, & Dozier, 2002, p. 446). Activist groups attempt to influence public policy to reach a common goal through the use of strategic communication, and the primary purpose is to influence organizational action, social norms, beliefs and values (Smith, 1997; Sommerfeldt, 2013). Activists have long been recognized as successful communication practitioners, and usually have their own distinct audiences (Smith & Ferguson, 2001). Activists’ ultimate goal is to rectify the conditions they have identified as unsatisfactory. In order to do this, activists must draw attention to the problem, position themselves as legitimate advocates and successfully argue for their recommended resolution (Crable & Vibbert, 1985; Heath, 1997; Cheney & Vibbert, 1987). This is where strategic communication tactics take place, with activist groups communicating their position on issues, soliciting calls for action, and engaging target audiences in policy discussions. Activist groups differ in size and structure, and Ferguson presents a unique case study because activists there, especially in the days immediately after Michael Brown’s death, were not members of an organized group. They were members of the community— residents, local leaders, clergy and others—who expressed their dismay at the shooting of an unarmed African-American teen and voiced their disdain for the social systems that created confrontational relationships between minorities and law enforcement, and limited opportunities for education, employment and advancement in minority populations across the country. Ferguson activists represented a collective of varied perspectives and experiences who did not have an organized, central communication strategy. Because of this, we sought to examine whether the local activists in Ferguson used tactics similar to practices employed by established organizations. Previous research indicates that regardless of their size or structure, activist groups engage in a variety of strategies to accomplish issue objectives largely based on their organizational form and overall goals (Jacques, 2006; Leitch & Neilson, 2001). Jackson (1982) identified five general categories of communication tactics activist groups use in pursuit of their goals. These include: (a) informational activities, including media interviews and other media relations behaviors such as holding news conferences; (b) symbolic activities such as boycotts or protests; (c) organizing activities such as networking, holding meetings, and community outreach activities (e.g., organizing a soup kitchen or donation drives); (d) litigious activities such as petitioning, filing lawsuits, influencing legislation, and testifying at hearings; (e) civil disobedience activities like sit-ins, blocking traffic, and trespassing. As exemplified in this typology, the range of activist strategies runs the continuum from the reserved to the extreme, and highlights how different activists may be from one another. In addition to Jackson’s typologies (1987), Derville (2005) found that activists also frequently implement emotion-evoking messages, such as using derogatory words, explicit language, or controversial terms to create conflict and gain attention. Taylor, Kent, and White (2001) asserted that with the rise of the Internet, activists have started to utilize more dialogic strategies, such as asking and responding to questions, engaging in online conversations, and building relationships via online resources. The prevalence of social media has brought various changes to activist practices, including a more microscopic boundary for defining activists. In previous literature, activists have been described exclusively as groups of individuals (e.g., Anderson, 1992; Jackson, 1982; L.A. Grunig et al., 2002; Smith, 1997; Smith & Ferguson, 2001; Sommerfeldt, 2013). However, it is essentially quixotic to assume that activists only function in organized groups. Aldoory and Gruing (2012) argued active individuals crystalize into collective groups such as activist organizations, and function as loosely connected groups of individuals rather than an orchestrated group. Therefore, it may be more systematic to examine engaged individuals as the spearheads of an activist group. Further, Harlow and Guo (2014) explained that online social media have emerged as a common gateway into digital activism. The ease with which people can participate in online activism may encourage other individuals to voice their concerns about social issues, and social media allows them to do so with rapid speed. Previous research has shown that internet-based tools, especially social media, have facilitated individual activism through reduced participation costs and the ease of promoting collective identity and creating a sense of community (Norris, 2004; Harlow & Guo, 2014). These social networks have made possible the immediate dissemination of information to anywhere, anytime, virtually for free. Furthermore, social media sites help to create collective experiences that are necessary precursors for successful protest movements (Valenzuela, Arriagada, & Scherman, 2012). Harlow and Harp (2012) conducted a survey among 100 known activist individuals in the United States and Latin America, and found that among them, nearly all (98.6%) use Facebook and nearly half (47.2%) use Twitter for online activism. Additionally, most activists, regardless of whether their activism occurred online or offline, said social media were important for organizing, mobilizing, informing and promoting debate, and they believed that online activism is a precursor to offline activism. Harlow and Harp (2012) concluded that social media sites are an essential part of activism, especially in the United States. Valenzuela et al. (2012) found similar results in surveys of Chilean youth; frequent Facebook use was positively related to participation in offline protests. In sum, social network sites enable individuals to organize themselves more easily and to voice their concerns more publicly (Valenzuela et al., 2012). What used to require a visible and physical group to influence another public or publics through strategic actions and communication can now take place online. Furthermore, an influential individual can serve as a catalyst for organizing and mobilizing a mass crowd around an unfolding crisis. The Ferguson case offers a rare opportunity in that while local press initially covered the issue with moderate interest, Brown’s shooting developed into a crisis as it was being tweeted about. By examining how activist individuals used Twitter to disseminate key messages, we can determine whether they attempted to promote mobilization through known activists strategies. Research has shown that Twitter frequently is used to call networked publics into action during periods of instability (Papacharissi & de Fatima Oliveira, 2012). Papacharissi and de Fatima Oliveira (2012) explained that during these times, individuals are recast as journalists, and function based on what they have been socialized to recognize as accepted news values. However, individuals do adapt these messages to the context of the situation and their own perspective (Papacharissi & de Fatima Oliveira, 2012). RQ1: What were the general Twitter practices used by activists and journalists? RQ2: How did Twitter practices differ between activists and journalists? Next, we wanted to examine phenomenon identified in previous studies of communication during times of crisis. Research has shown that organized advocacy groups use journalistic strategies like information-sharing, as well as boycotts, community outreach, and emotional appeals in planned communication campaigns (Derville, 2005; Jackson, 1982; Taylor, Kent, & White, 2002). However, the local activists in Ferguson were not members of any particular organization and had no discernable training in effective crisis communication. They were “regular” community members and a handful of elected officials, all of whom had different individual experiences and agendas. Twitter was one of their main communication tools. Would they still use similar tactics in their messages? RQ3: What were the most common Twitter message strategies used by activists and journalists? RQ4: Did the Twitter message strategies differ depending on whether the source was an activist or journalist? The final research questions center on how the journalists and activists framed the unrest in Ferguson through their Twitter messages. Frames have been regarded as the cognitive schemata of interpretation and the central organizing idea to locate, identify, label and provide meaning to a given issue (Gamson & Modigliani, 1989; Goffman, 1974). The particular message that builds up a frame is important to examine because the characteristics used to manifest the issue in message frames can largely influence how the audience comes to understand the issue (Scheufele & Tewksbury, 2007). RQ5: What were most common Twitter message frames used by activists and journalists? RQ6: Did the Twitter message frames differ depending on whether the source was an activist or journalist? The focus of this exploratory research was to probe the differences in journalists’ and activists’ communication strategies in the week following Michael Brown’s death. We concentrated the study on local journalists and activists because of their prior knowledge of the community and sustained presence in Ferguson. Focusing on local journalists and activists allows for comparable analysis of individuals who are personally connected to the region. The tweets incorporated in this study are listed as they appear without modification. The journalists’ and activists’ tweets were downloaded from ExportTweet.com, an online service through which tweets can be downloaded according to username. The most recent 3,200 tweets are available for each user. In addition to the tweet, ExportTweet also indicates whether each message was a retweet, the number of times it was favorited by others and how often it was retweeted by others. Journalists’ Twitter accounts were identified for possible inclusion in this project if the media professional worked at a St. Louis-area news organization and had posted any tweets about Brown’s death and related events from August 9-16. From a list of more than 40 local journalists, the top 10 were selected based upon the number of Ferguson-related tweets they posted during the week being studied. These top 10 local journalists included news workers at print, television and news radio outlets who produced more than 4,600 total tweets during that time. Local activists were pinpointed through a multi-step process. First, we searched media reports to compile sources identified as local activists, protestors or organizers, and then ascertained whether they were active on Twitter in the week following Brown’s death. Additionally, we scanned tweets using prevalent hashtags at the time, including #Ferguson and #MikeBrown, and noted users who self-identified as activists in the St. Louis area but had not been quoted in the media. These searches yielded about 30 activists. 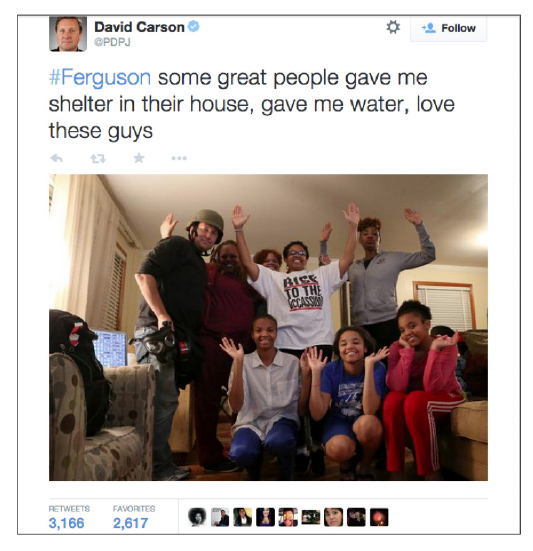 The top 10 were selected based upon their Ferguson-related tweets, resulting in almost 4,400 messages. Among the activists were local clergy and political leaders, as well as “regular” citizens. Only tweets related to Ferguson were included in the collection of posts from journalists and activists. Each handle for the top 10 journalists and the top 10 activists were entered separately into a random number generator, and a random sample based on a 95% confidence level was selected and coded from the population. This method allowed us to randomly sample tweets proportional to the volume of each handle’s population, and a total of 2,061 tweets from the journalists and a total of 1,843 tweets from the activists were collected. For the present exploratory study, 688 tweets were randomly coded for the analysis. Three coders, including the two researchers, served as coders. Coders participated in two one-hour training sessions, and then independently coded 390 (10% of the random sample) tweets. Intercoder reliability was calculated using Scott’s Pi formula, and all variables established sufficient intercoder reliability coefficients, ranging from .75 to 1.0. Each tweet was coded for Twitter metadata, activist communication strategy, primary message frame, and source of the tweet. Table 1 shows the comprehensive list of variables coded for each tweet. A total of 688 tweets were randomly selected to answer the research questions in this exploratory study. Of these tweets, 428 were from local journalists (62.2%) and 260 (37.8%) were from local activists. The tweets were posted to Twitter in the week following Michael Brown’s death, and each tweet pertained to Brown’s death and the related unrest in Ferguson, Mo. RQ1 asked about the general Twitter practices used by local activists and journalists. Twitter meta-data, including the number of times a tweet was favorited or retweeted by other users and whether the tweet was an original tweet or a retweet, was examined using descriptive statistics. The number of times a tweet was favorited ranged from 0 (23.4%, n =161) to 18,860 (0.1%, n = 1), while the number of times a tweet was retweeted ranged from zero (15.8%, n = 109) to 22,999 (0.1%, n = 1). The average number of times a tweet was favorited was 106.56 (S.D. = 808.11), and the average number of times a tweet was retweeted was 183.65 (S.D. = 1042.86). More than 63% of the tweets (63.7%, n = 438) were original tweets. A total of 408 tweets had one or more hashtags (59.3%). 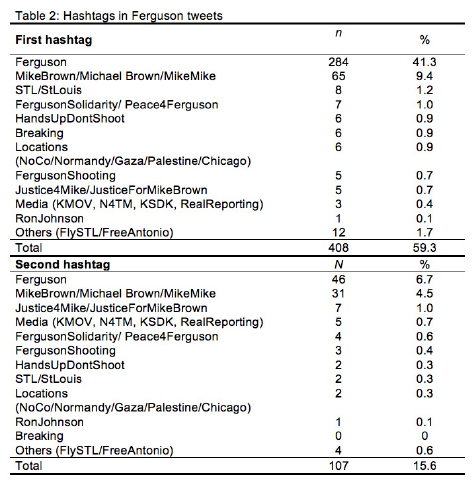 Various hashtags were used to tweet about Ferguson. For the first hashtag used in tweets, #ferguson/#Ferguson was most popular (69.6%, n = 284), followed by #MikeBrown/#MichaelBrown (15.9%, n = 65). Table 2 shows the complete list of the hashtag categories. RQ2 asked whether the general Twitter practices differed between activists and journalists. Cross-tabulations using Chi-square analysis examined the two groups’ use of original tweets and retweets. There were no statistically significant differences between sources on the likelihood of using retweets or original tweets [χ2(1) = 1.94, p = .16]. Both journalists (65.7%, n = 281) and activists (60.4%, n = 157) were more likely to use original tweets than retweets (Journalists: 34.3%, n = 147; Activists: 39.6%, n = 103). Independent t-tests examined whether the number of hashtags, the number of favorite tweets, or the number of retweets differed according to source type. There were no statistically significant differences between journalists (M = .77, S.D. = .71, N = 428) or activists (M = .81, S.D. = .95, N = 260), t(433) = 20.27, p = .54) for the number of hashtags, number of favorite tweets (journalists: M = 124.94, S.D. =1002.24, N = 428; activists: M = 76.31, S.D. = 273.27, N = 260), t(525) = 2.32, p = .344), or the number of retweets (journalists: M = 197.71, S.D. = 1249.89, N = 428; activists: M = 160.51, S.D. = 555.28, N = 260), t(535) = .948, p = .59). RQ3 asked about the Twitter message strategies used by both activists and journalists; tweets could have multiple strategies. Information strategy (n = 465) was the most frequently appearing message strategy among the tweets, with 67.6% of the tweets conveying some sort of factual information related to the unrest in Ferguson. Emotional strategy (24%, n = 165) and dialogic strategy also were popularly utilized (21.1%, n = 145). 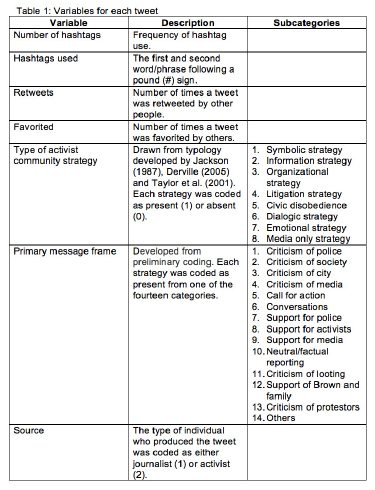 Table 3 illustrates the message strategies used in tweets about Ferguson. Building upon RQ3, RQ4 explored the differences in the message strategies of local journalists and activists on Twitter in the week following Brown’s death. Information-sharing was the most common tactic used by both groups: Almost four-fifths (78.3%, n = 335) of journalists’ tweets related to Ferguson used an informational strategy, and half (50%, n = 130) of activists’ tweets did so. 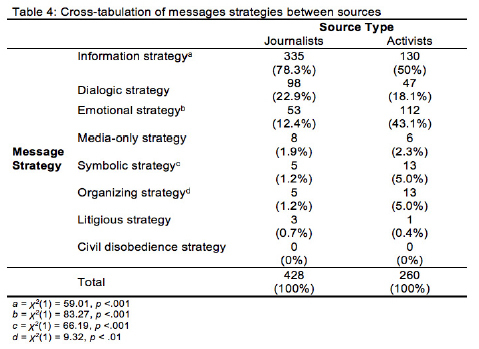 Chi-square analyses with subsequent z-score comparisons found journalists were significantly more likely to use informational strategy χ2(1) = 59.01, p < .001, whereas activists (18.1%, n = 47) were significantly more likely than journalists to use symbolic strategy χ2(1) = 66.19, p < .001 and organizing strategy (5.0%, n = 13), χ2(1) = 9.32, p < .01. The groups were fairly similar in their use of dialogic strategy, with 23% (22.9%, n = 98) of journalists’ tweets and 18% (18.1%, n = 47) of activists’ tweets being used to engage others in conversation. Finally, activists were significantly more likely to use emotional strategy than journalists: local activists relied on emotional appeals as in their messages about 43% (43.1%, n = 112) of the time, whereas only 12% (12.4%, n = 53) of journalists’ tweets did so χ2(1) = 83.27, p < .001. Table 4 illustrates the differences in these groups’ message strategies. RQ5 identified the primary frames used in the Twitter messages related to Ferguson. 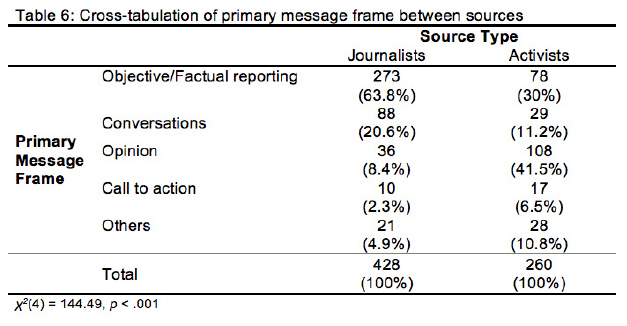 The most frequent message frame was objective/factual reporting (51%, n = 351). The totals rapidly dropped, with the second most common frame being one of conversations (17%, n = 117) and the third (9.4%, n = 65) was tweets that supported activists. Because the message frames were so widely spread among the remaining tweets, the frames were recoded into five groups. Table 5 shows the recoded groups and totals. This pilot study had three main purposes in examining the ways in which local journalists and activists used Twitter as a communication tool in the week following Michael Brown’s death: 1) to develop a general overview of the practices used by local journalists and activists; 2) to investigate whether the two groups used different message strategies; and 3) to identify the different ways in which the news professionals and activists framed their messages about the crisis in Ferguson. Users’ retweets and favorites of journalists’ and activists’ tweets reinforced the prominence of the journalists’ and activists’ tweets. The averages of the retweets and favorites suggest the two groups’ tweets resonated with other users, and likely helped spread familiarity with particular hashtags as well. The overall Twitter practices of local journalists and activists in this study did not different significantly. They appear to have a similar understanding of common Twitter practices, such as using hashtags and earning retweets or favorites from others. These findings suggest local journalists and activists have a fairly level playing field, so to speak, in their approach to message strategies and framing those messages. This research builds upon message strategies developed by Jackson (1982) and Derville (2005), as well as the dialogic strategies that Taylor et al. (2001) noted were emerging through online tools. By including all of those strategies in this research, we have captured a more complete picture of the message tactics used by activists and journalists. In particular, it was important to apply these strategies to local journalists because of their personal connections to the area as well as the greater likelihood that journalists will express their opinions more freely during crises and in online venues (Lasorsa et al., 2012; Riegert & Olsson, 2007). Recognizing these strategies do not occur in a vacuum, they were coded for multiple types of codes within a single tweet. Both groups focused on their ability to supply information about the Ferguson crisis, demonstrating their understanding of the public’s desire to know more about the situation and using Twitter’s capacity to provide a steady stream of real-time updates. Journalists and activists both were acting as gatekeepers, although statistical tests showed journalists were significantly more likely to use an informational strategy. This is not surprising given previous research (i.e. Weaver et al. 2007) on journalists’ commitment to professional standards that include objectivity and getting information to the public quickly, as well as research that found news workers will rely on journalistic norms when covering crises (Riegert & Olsson, 2007). Activists may realize that also being a continuous source of information allows them to shape the “narrative of Ferguson” by drawing attention to the situation and persuading people to join their efforts. Their desire to influence others is evidenced by the activists’ more present use of emotional appeals (e.g., “I’ve never been so enraged in my life. Who can the people trust? Not those who are sworn to protect and serve. #Ferguson”) as a message strategy as well as organizing (e.g., “We passed out an outrageous number of lunches/dinners & cooling towels today. People where blown away by our generosity. By YOUR generosity”) and symbolic strategies (e.g., “2night at 7pm please join me & @StlClergy leaders at a Call to Action Rally at Christ the King UCC (11370 Old Halls Ferry, 63033) #ferguson”) all of which were statistically significant differences compared to journalists. Derville (2005) suggested that activists, especially during situations where their voices seem to be suppressed, implement more radical tactics such as emotional outbursts, defamatory speech and boycotts. Despite not being an “organized” advocacy group, the local activists in Ferguson used strategies similar to more established organizations. Both groups engaged in fairly equal dialogic strategies, reinforcing Twitter’s ability to help people connect and engage in conversations. Although their message strategies suggested occasional crossovers in the tactics of local journalists and activists, the frames they produced aligned closely with the expected practices of each group. Through their message strategies, local journalists and activists were creating frames that fit the status quo for each group. We initially coded for 14 frames, which resulted in frequent empty cells when comparing local journalists and activists. The categories were collapsed into primary frames for tweets that provided objective information, presented opinion, called others to action, attempted to engage others in conversation, or were part of an “other” category. From these five basic groups, activists and journalists used frames that reinforced the practices expected of each group and reflected the ways in which the audience comes to know and understand journalists and activists. Activists used Twitter to voice opinions related to the unrest in Ferguson, which included a range of posts that, for example, criticized police (e.g., “I’M HERE TO TELL YOU THAT FERGUSON P.D. IS A BUNCH OF LIARS FROM THE PITT OF HELL… AN ENTIRE COMMUNITY SAW WHAT REALLY HAPPENED!!!!!!! !”) and criticized society (e.g., “I still find it incredible that people from #Gaza found out about #Ferguson and offered advice but the US still hasnt done anything”). Similarly, they issued calls to action through their tweets, asking people to sign petitions, engage in the protest, provide support, or retweet their message (e.g., “Hey @footlocker your key demographic is under attack in Ferguson, MO. The ones that spent back to school $ with u. Looking to help?”; “UNITY march tonight 5pm starting at the Mobile Gas Station (Chambers & W. Florissant) Bring an actual bible. @StlClergy #dontshoot #ferguson”). They used the opinion and calls to action frames to challenge current conditions of the crisis and promote change. Journalists, on the other hand, were far less likely to use frames that expressed their opinions or encouraged others to participate in events related to Ferguson. Journalists centered their messages on conversations, such as to fact check (e.g., “Maybe, also near airport. MT @brianstelter: @RobertDEdwards this is mostly to stop news choppers… is that right? http://t.co/emXJEKNnMu”) and objective reports (e.g., “#Ferguson police chief promises a change in tactics tonight. Promises less aggressive, militaristic approach”). Most objective reports focused on real-time reporting of conflicts in and around Ferguson (e.g., “Tear gas fired into the crowd of protestors & Sen. @ MariaChappelleN informed me that she is trapped & can’t get out”) while larger issues of inequality and opportunity did get some coverage as well (e.g., “Black Missourians were 66 percent more likely to be stopped by police in 2013”). Journalists did help to keep the audience informed via Twitter but mostly on issues of law and order. In summary, the local journalists and local activists in this exploratory study used message strategies and frames on Twitter in ways consistent with established practices for each group. They shared an important focus on providing information to the public through Twitter in what Papacharissi and de Fatima Oliveira (2012) called “instantaneity” (p. 273). This phenomenon describes how journalists and other individuals live-tweet events as they occur, updating posts every few seconds in what may appear to be unfiltered reports from the scene. Instantaneity involves sharing information much faster than traditional media can broadcast or print news but it is an incomplete narrative because the tweets are usually purely reactionary—the disseminators of that information have little time process and report on what they are seeing and experiencing. This lack of time to reflect on the larger societal issues that were the catalysts of the protests and demonstrations pushes journalists and activists to rely on the routines of their work to guide their communication during crises. As the first days of the events in Ferguson unfolded and the world reacted, journalists and activists used the relative safety of their “known” roles to approach the crafting of their messages and the framing of the Ferguson narrative. This study is admittedly limited by its small sample size, and findings here may not fully represent the scope of journalist and activist communication practices during the Ferguson crisis. However, the value of this study is that it is one of the first to explore and compare the type of communication patterns that took place on Twitter at the start of the crisis. As such, this study’s value is as an exploratory pilot study, and the findings call for additional research into the varied uses of Twitter during man-made crises. Methodological limitations prevent us from making causal links. While the descriptive nature of content analysis suits the exploratory purpose of the study, we cannot make claims on whether the message strategies on Twitter brought attitudinal or behavioral change, nor can we accurately say that the coded strategy was the actual intent. Therefore, future research should replicate this study with a larger sample to explore the descriptive power of the variables identified in the present study. Avenues to be explored include examining the development of particular hashtags throughout the course of the crisis, as well as investigating whether patterns of message strategies were used in individual tweets and whether certain frames more often used particular hashtags. A separate future study might focus exclusively on the framing of race and racial issues in tweets related to Ferguson. Additionally, future research could apply methodological approaches used in agenda-setting studies to assess public reliance on Twitter as a news source and perception of issues related to Ferguson. A follow-up study could apply qualitative methods, such as in-depth interviews with the top 10 journalists and the top 10 activists, to reveal the actual motivations and intentions behind the tweets related to the unrest in Ferguson. This would compliment the present study by offering a more comprehensive picture of the crisis communication tactics used. Finally, a longitudinal study could be conducted by extending the time frame to include tweets that go beyond the first week to those that came out after the grand jury decision, which would allow us to compare the development of message strategies as well as the narratives regarding Ferguson. Aldoory, L., & Grunig, J. E. (2012). The rise and fall of hot-issue publics: Relationships that develop from media coverage of events and crises. International Journal of Strategic Communication, 6(1), 93-108. Anderson, D. S. (1992). Identifying and responding to activist publics: A case study. Journal of Public Relations Research, 4(3), 151-165. Boyd, D. M., & Ellison, N. B. (2007). Social network sites: Definition, history, and scholarship. Journal of Computer-Mediated Communication, 13(1), 210–230. Budarick, J. (2011). Media narratives and social events: The story of the Redfern riot. Journal of Communication Inquiry, 35(1), 37-52. Cammaerts, B. (2008). Critiques on the participatory potentials of Web 2.0. Communication, Culture & Critique, 1(4), 358-377. Cheney, G., & Vibbert, S. L. (1987). Corporate discourse: Public relations and issue management. In L. L., Putnam, K. H., Roberts, & L.W. Porter (Eds. ), Handbook of organizational communication: An interdisciplinary perspective, (pp. 165-194). Newbury Park, CA: Sage. Crable, R. E., & Vibbert, S. L. (1985). Managing issues and influencing public policy. Public Relations Review, 11(2), 3–16. Derville, T. (2005). Radical activist tactics: Overturning public relations conceptualizations. Public Relations Review, 31(4), 527-533.
effects of television stories about a high-visibility protest issue. Mass Communication & Society, 10(4), 439-460. Goffman, E. (1974). Frame analysis: An essay on the organization of experience. Cambridge, MA: Harvard University Press. Grunig, L. A., Grunig, J. E., & Dozier, D. M. (2002). Excellent public relations and effective organizations: A study of communication management in three countries. Mahwah, NJ: Lawrence Erlbaum Associates, Inc.
Harlow, S., & Guo, L. (2014). Will the revolution be Tweeted or Facebooked? Using digital communication tools in immigrant activism. Journal of Computer Mediated Communication, 19(3), 463-478. Harlow, S. & Harp, D. (2012). Collective action on the web. Information,Communication & Society, 15(2), 196-216. Heath, R. L. (1998). New communication technologies: An issues management point of view. Public Relations Review, 24(3), 273–288. Hermida, A., Lewis, S. & Zamith, R. (2014). Sourcing the Arab Spring: A case study of Andy Carvin’s use of sources on Twitter during the Tunisian and Egyptian revolutions. Journal of Computer-Mediated Communication, 19(3), 479-499. Hinsley, A. (2014, August). The resilience of journalists who remain: A longitudinal study of technological and economic changes at newspapers and journalists’ perceived identities. Paper presented at the Association for Education in Journalism and Mass Communication annual conference: Montreal, Quebec. Jackson, P. (1982). Tactics of confrontation. In J. S. Nagelschmidt (Ed. ), The public affairs handbook (pp. 211–220). New York, NY: American Management Association. Jacques, T. (2006). Activist ‘rules’ and the convergence with issue management. Journal of Communication Management, 10(4), 407–420. Lasorsa, D., Lewis, S., & Holton, A. (2012). ‘Normalizing’ Twitter: Journalism practice in an emerging communication space. Journalism Studies, 13(1), 19-36. Leitch, S., & Neilson, D. (2001). Bringing publics into public relations: New theoretical frameworks for practice. In R. L. Heath (Ed. ), Handbook of public relations (pp. 127–138). Thousand Oaks, CA: Sage. Moon, S.J. & Hadley, P. (2014). 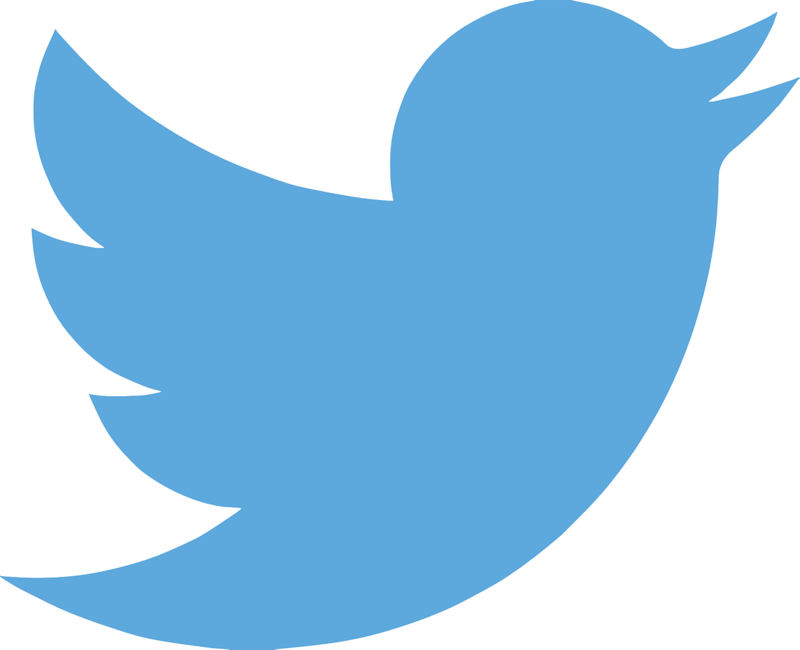 Routinizing a new technology in the newsroom: Twitter as a news source in mainstream media. Journal of Broadcasting & Electronic Media 58(2), 289–305. Norris, P. (2004, October). Young people and political activism: From the politics of loyalties to the politics of choice? Paper presented at the conference Civic engagement in the 21st Century: Toward a Scholarly and Practical Agenda, Los Angeles, CA. Papacharissi, Z. & de Fatima Oliveira, M. (2012). Affective news and networked publics: The rhythms of news storytelling on #Egypt. Journal of Communication 62(2), 266-282. Paulussen, S. & Harder, R.A. (2014). Social media references in newspapers. Journalism Practice 8(5), 542-551. Riegert, K. & Olsson, E. (2007). The importance of ritual in crisis journalism. Journalism Practice 1(2), 143-158. Scheufele, D. A., & Tewksbury, D. (2007). Framing, agenda setting, and priming: The evolution of three media effects models. Journal of Communication, 57(1), 9-20. Sigal, L.V. (1973). Reporters and officials: The organization and politics of newsmaking. Lexington, MA: D.C. Heath & Company. Smith, M. F. (2005). Activism. In R. L. Heath (Ed. ), Encyclopedia of public relations (pp. 5–9). Thousand Oaks, CA: Sage. Sommerfeldt, E. J. (2013). Online power resource management: Activist resource mobilization, communication strategy, and organizational structure. Journal of Public Relations Research, 25(4), 347-367. Taylor, M., Kent, M. L., & White, W. J. (2001). How activist organizations are using the Internet to build relationships. Public Relations Review, 27(3), 263-284. Tilly, C. (1978). From mobilization to revolution. New York: McGraw-Hill. Valenzuela, S., Arriagada & Scherman, A. (2012). The social media basis of youth protest behavior: The case of Chile. Journal of Communication 62(2), 299-314. Weaver, D.H., Beam, R.A., Brownlee, B.J., Voakes, P.S. & Wilhoit, G.C. (2007). The American Journalist in the 21st century: U.S. news people at the dawn of a new millennium. New York, NY: Lawrence Erlbaum. Amber Hinsley is an assistant professor in the Department of Communication at Saint Louis University. Her research centers on issues of media management, news production and online journalism. Some of her current research focuses on journalists’ construction of their professional and organizational identities, as well as the public’s use of social media as a communication tool. Hinsley has presented her research at conferences across the U.S., written articles for several academic journals including Journalism and Journalism Studies, and co-edited a book on the future of news. She also is an officer in the Media Management & Economics Division of the Association for Education in Journalism & Mass Communication. Hinsley received her Ph.D. from the University of Texas at Austin, after working as a reporter and editor at several community sections of the Los Angeles Times. Hyunmin Lee is an assistant professor in the Department of Communication at Saint Louis University. Her research focuses on strategic messaging in the context of health communication and the impact of social media on public relations outcomes. You can find some of her recent research in peer-reviewed journals including Journal of Public Relations Research, Health Communication and New Media & Society. She earned her Ph.D. from the University of Missouri-Columbia. This was a great read. I am interested in modern activism and how social media brings communities together. Social media is indeed a powerful tool to herald voices. But it shouldn’t be misused and abused. 🙂 Wonderful article it is!